A traditional gathering place in the community of Unkum, deep in the Amazon rainforest. October 2, 2015 – Today, the Regional Government of Amazonas declared the 93,000 acre Tijae Nain Conservation Concession. This area protects some of the world’s most biodiverse and beautiful Amazon rainforests in northern Peru and helps preserve the indigenous Awajun culture, which is deeply embedded in these vital forests. The Tijae Nain Conservation and Production Association and Nature & Culture’s own Awajun staff have worked together for the past 18 months to make today’s declarations a reality. The Awajun communities of Unkum and Ankaish are well off the beaten path, and trips to meet with them required two to three days of boat travel. During these trips, our staff frequently stayed at a traditional home in Unkum where they were hosted by the 90-year-old mother of the Unkum community’s leader, also known as the Apu. 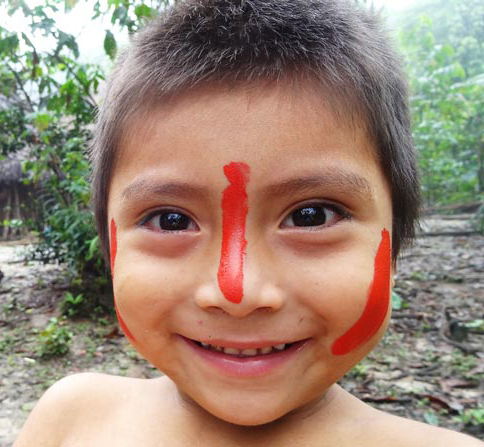 The Awajun people living in Unkum and Ankaish are far enough removed from Peru’s mainstream jungle towns that many of their cultural traditions and customs are still observed in daily life. Now, our work with the communities of Unkum and Ankaish will continue to develop sustainable industries such as cacao, and ensure that their protection of the forest is ongoing. Our team is also supporting the development and governance of the Awajun Federation, and collaborating with member communities on sustainable cacao, bamboo and fine hardwood production. This follows the May 2014 declaration of the nearby Pamau Nain Conservation Concession, spanning 114,006 acres of Amazon rainforest in Amazonas. To achieve this declaration, Nature & Culture’s local office hired several Awajun leaders to support their work with 11 communities. As trusted leaders, they played an integral role by working alongside our staff to explain the process and benefits of creating a protected area in their native language – something no NGO had done before. Now, our team is proposing the creation of the Dase Nain Conservation Concession, which would become the third protected area declared alongside the Awajun in three years. 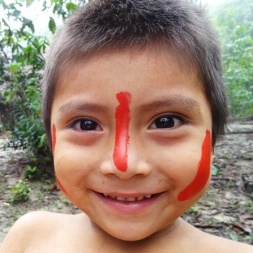 Funds for this initiative were provided in part though the generous support of the Amazon Andes Fund and the Robert W. Wilson Charitable Trust. 2 weeks. 2 countries. 3 NEW protected areas. Sip a beer, save a bear...Join us on May 12 at Beer for Bears! Nature is calling, our spring newsletter is here! Colombia Creates a New Protected Area! The San Diego Union Tribune Interviews NCI Founder Ivan Gayler on Saving the planet, one forest at a time. Photo of Last Jaguar in Amotapes Dry Forest?